As you update programs, download new ones or browse the web, your computer starts to collect crap files that are useless but take up valuable storage space. So do you have to spend $50 on a cleaning program? Forget about it! Go ahead and download CCleaner. Although it performs other functions (like uninstalling apps), I only use the crap cleaning function. Go to the developers page to download it. Read the options when installing it to make sure you uncheck the options to install toolbars or change your homepage. Once you have installed CCleaner, its time to get an add-on app called CCleaner Enhancer from the developer SingularLabs. 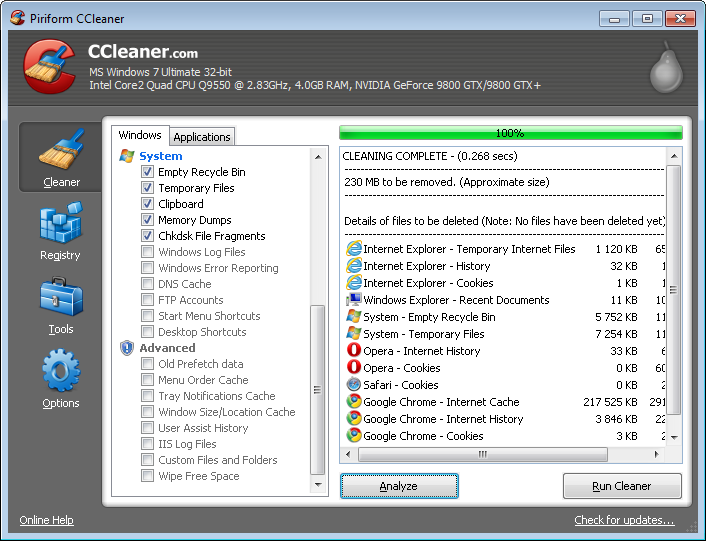 CCEnhancer is a small app that enhances CCleaner's app crap file cleaning option by detecting 900 apps. The enhancement is done using an update mechanism built-in by the CCleaner developer so nothing will break.